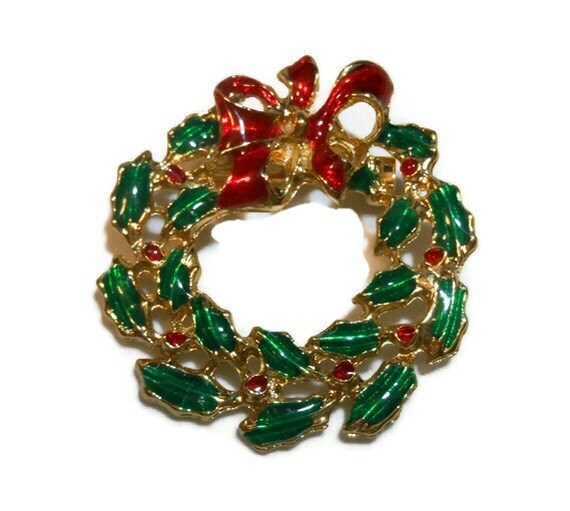 Wreath brooch, enamel Poinsettia wreath holiday Christmas brooch with red bow circle eco-friendly. This adorable pin is bright as a new penny. The green tint on rear photo is just glare as the back is shiny too. Measuring appox. 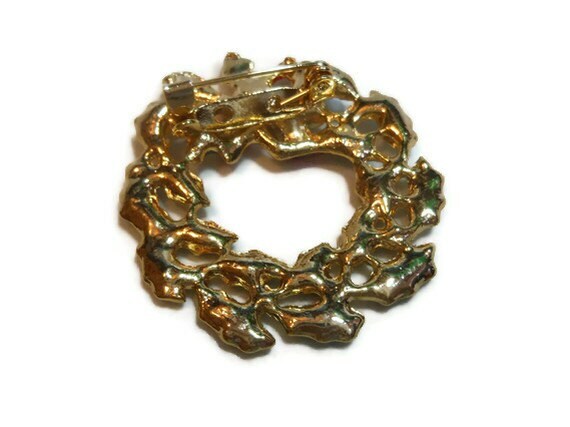 1 1/2" in circumference (3.5 cm) this brooch is in very good condition.